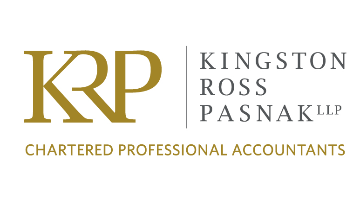 Kingston Ross Pasnak LLP Chartered Accountants is looking to fill three full time permanent Senior Accountant positions within our Audit and Assurance team. We may also consider part time or contract opportunities for the right individuals. The ideal candidates would be experienced audit public practice professionals joining our department full-time permanently, starting immediately. Reporting to Human Resources/A & A Managers and Partner(s), the individual(s) will act as the senior professional completing audit engagements while supervising staff in the preparation of A & A engagements and assisting in the delivery of value-added services and solutions for our clients. The successful candidates will need strong communication and interpersonal skills and the ability to manage relationships with both clients and team members. In addition, the ability to take direction and constructive feedback are key requirements of the role. In addition to reviewing files, this position specifically includes supervising at a senior level, leading, directing, motivating and training staff, as required, while fulfilling any other requirements needed in the department. Please submit a resume and cover letter on our website under Career Opportunities - Professionals. If you have questions, please contact Jeannette Blumentrath, HR Director at 780-420-4767. We wish to express our appreciation to all applicants for their interest in KRP. However, only candidates selected for interviews will be contacted.